Professor Anita Dancs Who Benefits from the Midddle East Wars? The administration of US President Donald Trump is seeking to prolong the war in Afghanistan largely to restore the heroin industry and ultimately serve the interests of Israel and Saudi Arabia, not the American people, according to a US intelligence and security specialist. “What’s going on in Afghanistan very successfully under Trump and previous presidents is a production of heroin,” said Gordon Duff, a combat veteran of the Vietnam War and senior editor at Veterans Today. “It is running unabated and interest in Afghanistan is always tied to levels of heroin production. A settlement with the Taliban will bring an end to the narcotics production,” Duff told Press TV on Monday. Trump has called for "decisive action" against the Taliban militant group by “all countries” in Afghanistan following yet another terror bombing in the country’s capital Kabul that killed more than 100 people. "I condemn the despicable car bombing attack in Kabul today that has left scores of innocent civilians dead and hundreds injured,” Trump said in a statement released on Saturday. “This murderous attack renews our resolve and that of our Afghan partners." "Now, all countries should take decisive action against the Taliban and the terrorist infrastructure that supports them," he emphasized. Afghanistan has been plunged into a brutal war since the US-led military invasion of the terror-ravaged nation in October 2001 under the pretext of “war on terrorism” and with the pledge of uprooting the Taliban and bringing peace and stability to the country. Seventeen years on, however, terrorism continues to persist throughout Afghanistan, leaving thousands of innocent people killed, injured and displaced. In a blatant U-turn from his campaign pledges to end the occupation, Trump said in September that his views had changed since entering the White House and that he would continue the military intervention “as long as we see determination and progress” in Afghanistan. In the early 2000s, a series of bankruptcies meant Donald J. Trump was shunned by most lenders. Struggling for credit, he started selling his name to high-end real estate projects. 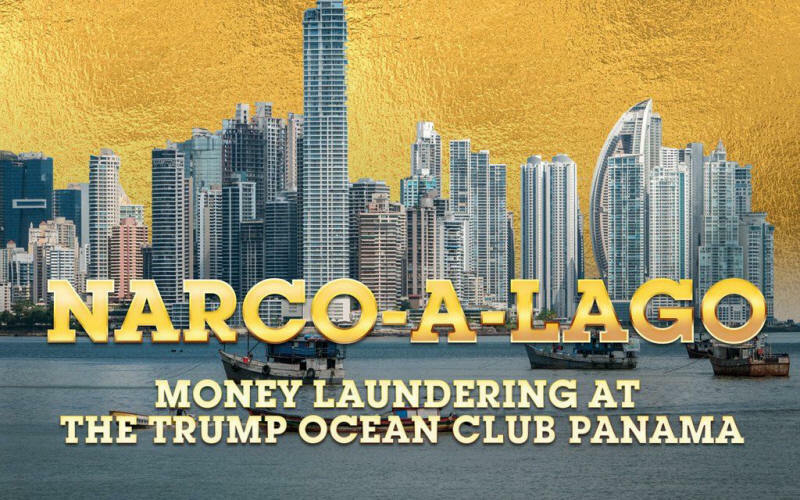 This report examines in detail the criminal connections that propelled one such project – the Trump Ocean Club International Hotel and Tower in Panama – and how this case bears some of the same disturbing hallmarks as other Trump developments. Since he became President of the United States, numerous investigations and articles have probed Trump’s business dealings and his alleged links to criminals and other shadowy characters. It is understood that Special Counsel Robert Mueller’s investigation under the Department of Justice will also examine his real estate business. This is important because it seems likely that, following his various bankruptcies, at least a part of Trump’s business empire has been built on untraceable funds, some apparently linked to Russian criminal networks. One key player in the laundering of drug money at the Trump Ocean Club was notorious fraudster David Eduardo Helmut Murcia Guzmán, whom a U.S. court subsequently sentenced to nine years for laundering millions of dollars' worth of illicit funds, including narcotics proceeds, through companies and real estate. Another was Murcia Guzmán’s business associate, Alexandre Henrique Ventura Nogueira, who brokered nearly a third of the 666 pre-construction unit sales at the Trump Ocean Club and claims to have sold 350-400 units overall. Ventura Nogueira’s sales brokerage was critical to ensuring the project’s lift-off and Trump’s ability to earn tens of millions of dollars. The Trump Ocean Club in Panama was Trump’s first international licensing deal and one of his most lucrative. Our investigation shows a raft of dubious characters bought units or brokered deals at the Trump Ocean Club. The true owners of the properties were hidden behind secretly owned companies. Panama was a global money laundering hotspot at the time. One early Trump Ocean Club investor was David Helmut Murcia Guzmán. Dubbed the “Colombian Bernie Madoff”, he laundered drug money through real estate purchases in the U.S. He has recently completed a nine-year sentence in a U.S. federal prison, and is currently in a U.S. immigration detention facility awaiting extradition to Colombia. There he is expected to serve a further 23 years for fraud and money laundering. Buying high-end real estate through secretly owned companies is a well-known way for criminals to stash the cash they make through crime and to launder it to spend without scrutiny. It’s a method used by organized crime, drug and human traffickers and terrorist groups, to name a few. This was a crucial time for Trump: he had recently emerged from his fifth bankruptcy and needed to salvage his reputation as a businessman The influx of cash from the Trump Ocean Club and other developments he lent his name to helped solve his financial problems. Trump has incessantly promoted himself as a successful and legitimate businessman, and this was critical to his success in the 2016 presidential election. But our investigation presents evidence that this façade was built, at least in part, on ventures used to launder cash generated by criminal activities. The dubious dealings of Trump the businessman also raise questions about the commitment of Trump the president to tackling corruption. He got elected by pledging to “drain the swamp”, but since his inauguration has taken steps that could worsen corruption in America. Now that Donald Trump is President, his business is the nation’s business. The ongoing long-running drug war in Mexico has taken a new turn as citizens begin to take matters into their own hands in order to finally be rid of the murderous drug gangs that have taken over large swaths of the country. Armed vigilante groups first began to pop at the beginning of 2013 all over Mexico and this past week one such group clashed not with the ruthless narco-killers running the government linked drug cartels, but with Mexican troops backed by none other than US President Barack Hussein Obama. In the incident which left as many as a dozen dead, the civilians in the town of Antenuz in the Mexican state of Michoacán did not have a chance against the heavily armed US trained Mexican forces. After it was over there were bloody bodies lining the streets and the dead included an 11-year-old girl. The outcry on behalf of the citizens has risen to an international level with the incident once again shining light on yet more collusion between the US Government, American special services and the illegal narcotics trade as reports point to US backing of both Mexican Army units and the drug cartels they are supposed to be fighting. This duplicity is further underlined by a recent report by the New American that: Federal authorities in the United States have been quietly supporting certain Mexican criminal empires, especially the Sinaloa drug cartel, in a bid to solidify the syndicates’ reign as dominant powerbrokers in particular territories, according to leaked e-mails from a U.S.-based Mexican diplomat to the private intelligence firm Stratfor. If cartel chiefs cooperate with authorities, “governments will allow controlled drug trades,” the diplomatic source wrote. Although the armed civilian groups may also be said to share blame in the escalation of violence after being forced to react against the non-stop killings that have plagued Mexico. The real victims are the civilians as they have been devastated both by the criminal syndicates and the government. Although the mission of the vigilante groups should be seen as being in line with that of the government, the government sees them as a threat and they are at odds with police and law enforcement making their struggle all the worse. After the latest incident involving the shooting of an 11-year-old girl it is now going to be even more difficult for the government to bring these groups into its fold and for the vigilantes to trust the federal forces. The BBC reported thatthe massacre of the civilians came after they launched an offensive against a powerful drug cartel which calls itself the Knights Templar. According to the BBC and other media outlets including Mexican newspapers there is currently a very strong police and military presence said to be protecting the cartel in the town of Apatzingan where the Knights Templar is based. The narco-group is reportedly in control of most of the methamphetamine trade and traffic that is bound for the US. The BBC reports one of the leaders of the local vigilante groups as having stated: "How does the federal government imagine that we would lay down our arms when they haven't detained a single leader of the Knights Templar? How is that fair?" Last Monday the Mexican Interior Minister Angel Osorio Chong announced that Mexico would be deploying federal troops to the western state of Michoacan and that the choice had been given to the vigilante groups to either lay down their arms or join the police. This is something many in the groups do not want to do because in many parts of the country the police are working in unison with the cartels and joining them would be suicide. Federal troops have so far moved into the towns of Antunez, Nueva Italia and Paracuaro which had been seized by the armed vigilante groups last week in escalation of the violence in the state of Michoacán. As the War on Terror winds down and the list of countries that were targeted for regime change and intervention has been put on hold, in various places such as in Afghanistan and now Mexico we have seen an upsurge in news related to illegal narcotics trafficking and the narco-trade. The correlation between the two events, the winding down of the War on Terror and the now almost seamless escalation of the US’ decades old War on Drugs is one that cannot be ignored. 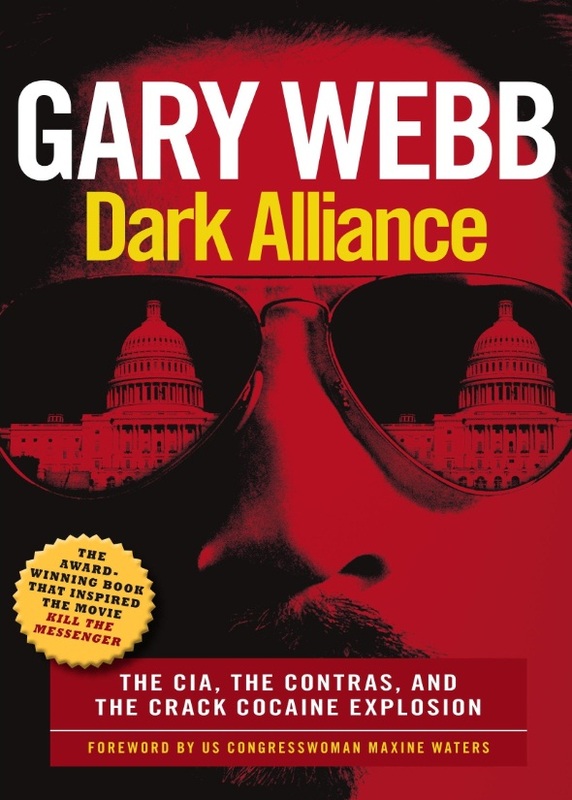 The illegal narcotics trade and the collusion between the CIA and the West is one that is almost impossible to investigate as anyone who attempts to do so or gets too close is quickly shut down, but it is one that we know enough about from what has leaked out in the past 40 years or so and from the brave efforts of a handful of journalists, to say without a doubt that it exists. Mr. Yury Fedotov, the Executive Director of the United Nations Office on Drugs and Crime (UNODC), recently called news of a 40 fold increase in opium production in Afghanistan "sobering" and stressed that this situation poses a threat to health, stability and development in Afghanistan and beyond: "What is needed is an integrated, comprehensive response to the drug problem. Counter-narcotics efforts must be an integral part of the security, development and institution-building agenda". In an early article I wrote “the elephant in the room that everyone is ignoring is the fact the United States and their CIA are colluding with the producers of heroin and in fact protecting the opium fields in Afghanistan while running duplicitous policies with the Taliban and the Karzai government.” With regard to Mexico the problem appears to be the same. Mexico, if we want to use some metaphors loved by American law enforcement proponents, is suffering from a plague of narcotics related crime that has spread like an epidemic throughout the country, engulfing, diseasing and destroying everything in its path, and the Mexican people have quite simply had enough with the level of crime and the inability of the authorities to stop it and have decided to take their communities back. Mexico is the main illegal narcotics corridor into the American market and it is a hotly contested one worth billions of dollars annually with rival cartels vying for control in a bloody turf war that has raged for years. The recent incident in the town of Antenuz in the Mexican state of Michoacán underlines the desperation of the civilian population and the hypocrisy of the Obama Administration and the US Government when it comes to the so-called “War on Drugs”. Gary Webb, who committed suicide by shooting himself twice in the head, was one of the few journalists who successfully exposed a link between the CIA and cocaine traffickers raising funds for the Nicaraguan Contras in what was called the Iran-Contra affair. The chief bank in that scheme, the Bank of Credit and Commerce International (BCCI), was also used to launder money gained from the sale of opium from Afghanistan and Pakistan and paid to Osama Bin Laden and his Mujahideen. Although the Knights Templar in Mexico are involved in methamphetamine trafficking and Columbian cocaine groups also work closely with CIA opium appears to be the drug of choice for raising black funds. One of the first such documented cases was the support of anti-Communist Chinese Kuomintang (KMT) forces who were being funded by opium from China and Burma which was flown to Thailand via the CIA’s now infamous Air America. 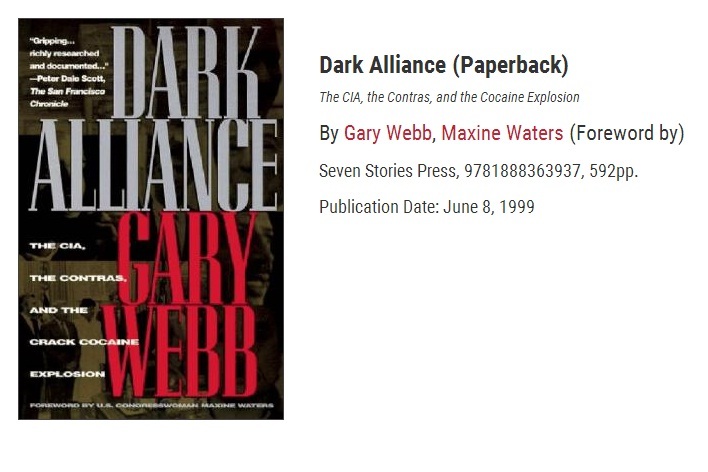 In a recent interview with the Voice of Russia I spoke to Wayne Madsen and he mentioned Air America and CIA covert funding and their collusion in the illegal narcotics business. Mr. Madsen said the CIA and the US Drug Enforcement Administration (DEA) agents are often shooting at each other because they have different missions, one to stop drugs and the other to import them. Cocaine, opium and other narcotics find their way to American consumers through various channels but Mexico almost always figures as part of the voyage. From Afghanistan to Europe and Russia there is Manas and Camp Bondsteel in Kosovo and Hashim Thaçi, in the US the Mena Intermountain Municipal Airport in Mena Arkansas, is one CIA drop point, but almost all shipments go through Mexico. Miami International Airport is another location where the CIA allowed at least one ton of nearly pure cocaine to be shipped into the US claiming they were doing so to gather intelligence but the cocaine was sold on the street. In 1993 former DEA head Robert Bonner accused the CIA of importing several tons of pure cocaine into the U.S. via Venezuela. In 1996 a Venezuelan anti-narcotics chief and longtime CIA asset named General Ramon Guillen Davila, was indicted for working with the CIA to smuggle tons of cocaine into the US. According to Peter Dale Scott a former diplomat and professor of English, who believed the CIA was involved in the deaths of up half a million people in Indonesia in the mid-1960s, Mexico’s DFS intelligence agency, which was later called the Center for Research and National Security of Mexico, was like Al-Qaeda, a CIA creation and its director Miguel Nazar Haro, a CIA asset, helped the Guadalajara Cartel become Mexico's most drug syndicate in the 1980s. 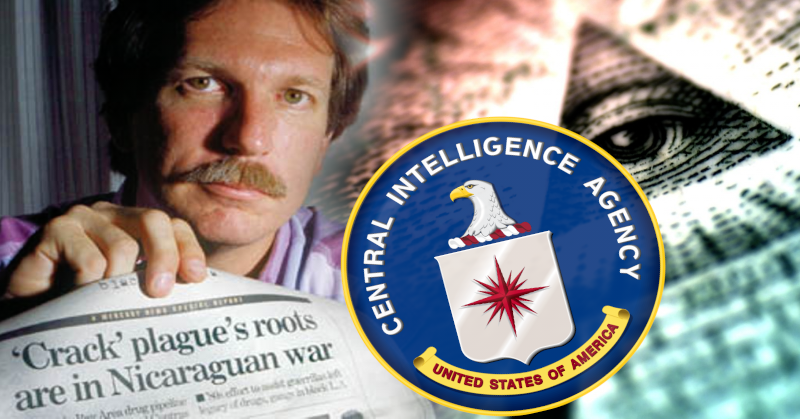 The cartel was also connected to the CIA through Honduran drug baron Juan Matta-Ballesteros, another CIA asset. Ballesteros ran SETCO, an airline used for smuggling drugs into the US. 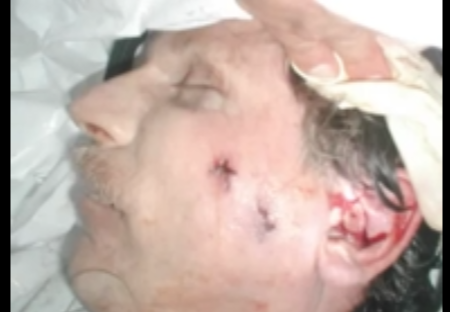 The Godfather of the Mexican drug business Miguel Ángel Félix Gallardo was also working with and providing funds for CIA operations. 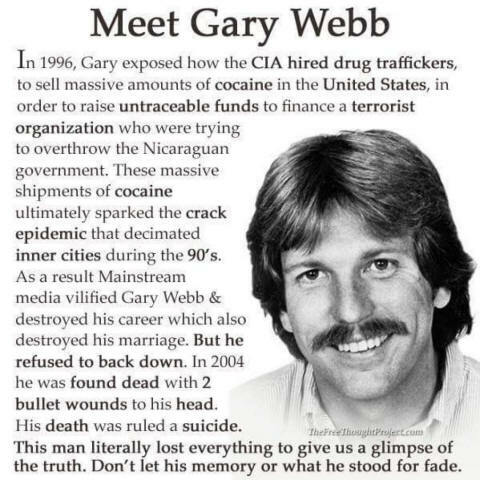 His narcotics activities were well known to the CIA and DEA, but they were ignored mainly because of his huge charitable contributions CIA backed groups. Claims made by Vicente Zambada Niebla, the son of Ismael Zambada García a Mexican narcotics baron, that he and other top Sinaloa cartel members had received immunity by U.S. agents to smuggle cocaine into the US, are backed up by the New American story. He says they were allowed to operate as long as they provided intelligence on rival cartels. Which of course would have allowed the CIA to take out their completion. Citing a Stratfor document the New American wrote: “Another bombshell uncovered in the leaked e-mails indicated that the U.S. federal government had deliberately allowed cartel hit men to murder people inside the United States if they agreed to offer their services to Washington. “Regarding ICE (U.S. Immigration and Customs Enforcement) screwing up informants: They (ICE) were handling big hit men from Juarez and letting them kill in the U.S.,” a federal law enforcement supervisor wrote in an e-mail. 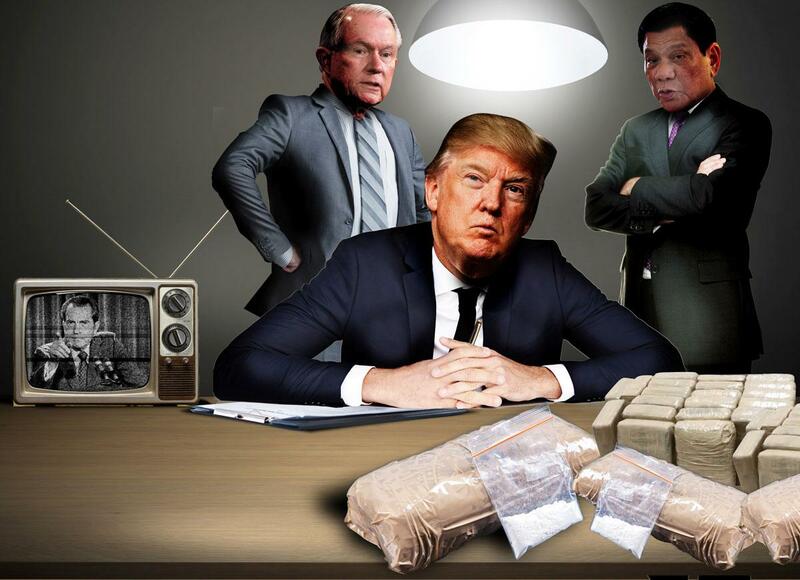 The CIA is out of control in their collusion with the global illegal narcotics trade and making billions of dollars in the process but things will soon be looking up. With the now open ended presence of US/NATO air bases worldwide, including those now set up in Afghanistan (now the world’s top opium producer) such as Shindad, Kandahar, Bagram and Kabul and developments in drone technology, such as the General Atomics Aeronautical Systems MQ-9 Reaper (Predator B-ER and B-003) Altair and Mariner, which can carry up to 3,000 pounds (1,360 kilograms), the CIA can make Air America look like child’s play. One advantage of drone drug trafficking is no more bothersome pilots and ground personnel to expose operations. Which might be why the CIA is adamant at keeping the drones under their control. In a review of NATO and US military activity for the year 2013, Voice of Russia regular Rick Rozoff stated that 2013 saw a slowing of, if not the beginning of a reversal of a 22 year US/NATO/Western drive to assert global dominance economically, politically, culturally and militarily. Among the most important events of the last year, if not the last 20, was the stopping of the invasion of Syria by Russia. According to Mr. Rozoff as US/NATO “slinks away with its tail between its legs” from Afghanistan, the only accomplishment they can claim after 13 years of occupation is that opium cultivation has increased by 40 fold. The military monolith of NATO is having a bad time of late and no matter what they say, the fact of the matter is, they have failed. This is part one of a much longer year end interview with Mr. Rozoff. Hello, this is John Robles, I am speaking with Mr. Rick Rozoff, the Owner and Manager of the Stop NATO website and international mailing list. Robles: End of another year, things seem to have gone kind of in the opposite direction as they seemed to have been going at the end of last year and the previous year. We of course would like to do a year end summary and get your views on where things are going. So, take it away. Rozoff: You are correct. I mean, there has been, if you will, countercyclical or countervailing tendency dynamic over the past year and even though those who are superstitious about numbers might have thought 2013 would be an inauspicious one. I think that history will record even, you know, in the short term, that it has been momentous year in a number of ways. And in particular what we have seen is (for the first time) a slowing up of, if not the beginning of a reversal of, what has been just an inexorable, unstoppable momentum by the West, the US primarily of course, in the entire post-Cold-War period (and we are now talking about 22 years) to assert global dominance economically, politically, culturally, but militarily in the first place. More than in any other manner of course through the expansion of North Atlantic Treaty Organization, throughout the European continent but ultimately to transform it into a global military force. This is what we talked about a year ago if your listeners will recollect. 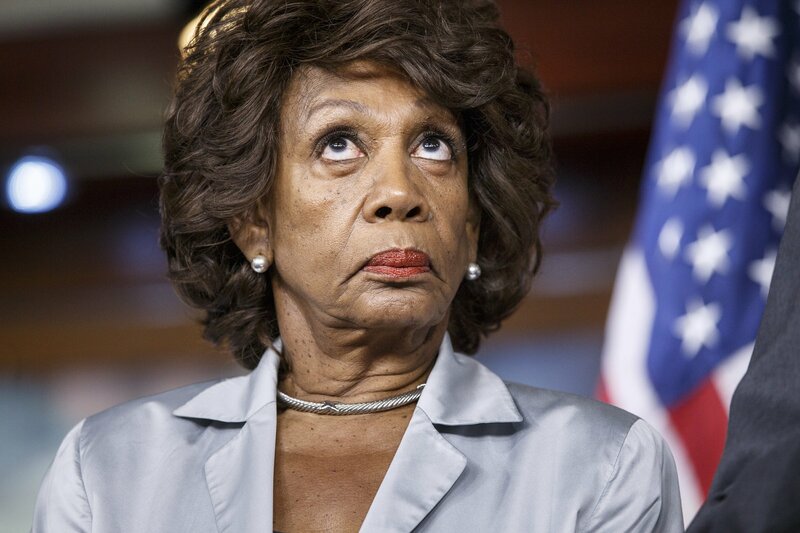 And of course last year was the year of the NATO summit in Chicago here in May of 2012 and the US and its NATO allies set some fairly ambitious objectives, amongst which were the formal launching of the so called launching of the interceptor missiles system in Europe, the expansion of NATO…. Robles: I’m sorry, if I could interrupt you, just to remind our listeners: this was the first ever (in history) debate, an open debate with NATO, it was supposed to be with officials and you were one of the spokespeople there, speaking for the other side, right? Rozoff: That is correct, John, thanks for reminding me as well as your listeners of that. That was in May of 2012, so roughly a year and a half ago. And there was a nationally and through Youtube, of course, internationally televised debate, the first of its kind. Robles: And you did quite well. Anyway, please, go ahead. Rozoff: Well, the fact was that we were looking at this a year ago, we saw, you know, signs that the uncontested role of the US as the “world’s sole military superpower” and pardon me again for quoting the president of the US Barack Obama whose term that is. He used it, well it will be now 4 years ago, when he received the Nobel Peace Prize and boasted of being the Commander in Chief of the world’s sole military superpower. But what we’ve seen is that the military monolith has been having a bad time of it lately. And these past years signified, I think, on three or four different scores at least an indication there is a shift in the winds. And the most important by a long shot, the most strategically important is the fact that through Russian intervention, through many instances also, the heroic activities of a small group of individuals, I know you’ve interviewed the British Member of Parliament George Galloway recently, and in one of the segments of the interview you conducted with him which has been posted on voiceofrussia recently. The two of you discussed his role in NATO and maybe as few as three colleagues in the British House of Commons, in putting a spoke in the wheel of the Cameron Administration’s plans, to enter into war against Syria with the US and other NATO allies. So, we saw that occur in the British Parliament, but we saw the intervention of Russia in the first instance around the question of dismantling the chemical weapons arsenal of the Syrian government as a way of really calling the US’ bluff (that of Secretary of State John Kerry in the first instance) and diffusing a situation were just few days earlier US president Obama had a press conference where he was openly laying the ground work for a Libyan style military intervention in Syria. So, we saw that stopped. I know, amongst other people myself, drew the parallel between Syria this year and Spain in the 1930s in that, in both cases, in the case of Spain you had the emerging Axis Powers: Nazi’s Germany, Mussolini’s Italy (Fascist Italy), supporting the armed insurrection of the Generalissimo Franco and his Moroccan mercenaries and others against the legally elected Republic the Government of Spain. And that battle in Spain in so many ways portended what was to happen in the entire European continent shortly thereafter, in other words, had the legitimate government of Spain unable to defend itself effectively and fend off an armed insurrection backed by foreign powers, WWII may not have occurred, and 50 million human lives that were lost may not have been lost. And I think that Syria represented something comparable/analogues to that. But you had in these case Russia, Iran and China stepping in and saying that foreign military powers are not going to intervene and touch off either cataclysm strictly within Syria, but more likely a conflagration that would quickly pull into its vortex almost every country in the Middle East and perhaps even provoke an international crisis. So, we saw that occur. Robles: I’d like to underline that point you just said about the possible (and people were saying) escalation of a Syrian war into a regional conflict and then into an actual world war. This all begun and caused by NATO, so what does that tell us about their role in the world as far as being an instrument for security and safety? Rozoff: Your tone seems straightforward but I’m sure it is meant to imply irony and not only irony I think that almost demonical diabolical inversion of the truth, of course. But NATO itself is directly involved in sending batteries of interceptor missiles Patriot Advanced Capability 3 interceptor missiles to Turkey within the last year and a half which is something NATO has done twice in the past, which is to send the same sort (actually they were not quite as advanced a model of the Patriot the current one is even more long ranged and more sophisticated), but in 1991 and again in 2003 that is on the eves immediately of the wars against Iraq in those years 1991-2003 NATO also sent Patriot batteries as well as AWACS aircraft to Turkey for much the same purpose. So, when US, German and Dutch Patriot batteries were sent to Turkey under NATO command a sensible person would have seen the analogy and reckoned that a war was imminent against Syria and it would include, because Turkey borders Syria and Turkey is a member of NATO, that NATO would have been involved its article 5, mutual military assistance clause, and the full force of a military alliance comprised of 28 countries accounting for some 70% of world military spending ($1 trillion a year collectively in military spending) arraigned against a very weak and isolated Syrian government. This is what was in the offing just a few months ago we do have to remember. And that but for heroic efforts in the British Parliament as I mentioned but much more; the direct role of the Russian Government in a fairly sophisticated manner intervening diplomatically… This is what diplomacy is about: it is to prevent wars, not to give cover for wars, not to create the pretense for wars but to stop them. And I believe history will record the Russian diplomatic intervention around Syria, defusing that crisis is both something likely (as Mr. Galloway, Parliamentarian Galloway, said on your show) something that really ought to get somebody in the Russian government for Nobel Peace Prize. As opposed to the person who got it 4 years ago and then immediately went to work waging military aggression around the globe. Robles: I’m sorry, as a force for stability, peace and security, you as one of the eminent (I would say) NATO experts in the world, did NATO do anything in the past year that lent to any sort of peace or stability or security for any of the people in the world? Rozoff: No, of course it didn’t, nor has it ever been designed to do that. So it shouldn’t be surprising. Another factor though which is not quite as salient or clear-cut, but I think just as important, is the fact that NATO is licking its wounds in Afghanistan, is getting ready to continue the metaphor I suppose, to slink away with its tail between its legs. And this into the 13th year, of not only the longest war in the history of the US, but the first ground war ever waged by NATO, the first military campaign launched and conducted by NATO in Asia, that is outside of Europe. It was followed of course by a war in Africa, the war against Libya two years ago. Robles: To call that a war, I don’t know if you could call an onslaught of airstrikes and missile shot from hundreds of miles away a war, but basically just shooting fish in barrel, if I could use that expression. Rozoff: You are correct about that, I should retract the use of the term “war” and just call it unilateral military aggression, overwhelming unilateral military aggression, the difference is (to use a historical analogy I suppose) between the Battle of Okinawa and the dropping of the atomic bomb on Hiroshima. So we do see the debacle, I think at this point it is irrefutable no matter how much Secretary General of NATO Anders Fogh Rasmussen or any of his underlings, or his deputy –Alexander Vershbow former US ambassador to Russia (who is Deputy Secretary General of NATO), no matter how much these people try to put the best face on it, try to save face in fact, by claiming they have achieved anything in Afghanistan, as we know from the head of the Anti-Drug Agency in Russia, the only unarguable accomplishment if you want to call it that of NATO’s military assault in Afghanistan, is the fact that opium production has increased by a factor of 40. Robles: I just want to underline, he is not just the head of the Anti-Drug establishment here in Russia – YuriyFedotov he is also the head of the United Nations Agency on Drugs and Crime that issued the 2013 opium report. And he himself was quite shocked at the level of heroine production. And Global Research published an expose of photographs of US soldiers guarding and protecting opium fields in Afghanistan. I mean, if you could comment on that, I’d really love to hear what you have to say about what NATO and the US were “really” doing in Afghanistan for 13 years. Rozoff: On the question of the explosion of opium cultivation and the expansion of heroine abuse and the human tragedy thereof about which I hope I can speak in a second, being the only provable accomplishment or achievement of NATO in Afghanistan, that is simple beyond questioning, that is it, Nothing else has been accomplished. Taliban is still active, other groups, which by the way, like the Haqqani network or Hezb-e Islami Gulbuddin which are led by people the US supported. Supported primarily in the Mujahedeen war in the 1980s, these forces are still active both in Afghanistan and across the border in Pakistan. There has been no consolidation of a viable representative or even reputable government in Kabul. So this has been an unequivocal debacle first of all for the Afghan people who have suffered immeasurably by 12 more years of dislocation, of night raids, of bombing raids, of other catastrophes, destruction effectively of their infrastructure and their agricultural economy. And in its place we get again as we talked about a second ago, a 40 fold increase in the opium cultivation. This means, and we have to look at this in human terms, this means hundreds of thousands if not millions of Afghans themselves have become addicted to heroin. This means that millions in Russia, in Iran, in Central Asia and elsewhere in the general region have become dependent on heroin. This means tens, maybe hundreds of thousands of deaths through overdose, through HIV, through criminal activity, as a result of this epidemic of heroine. And this is done under the watch of, at peak strength, 150,000 troops serving under NATO’s International Security Assistance Force. Certainly the least that the world community could have asked for a military occupation force, which legally incidentally the US and NATO are in Afghanistan, is they would have provided some modicum of a civilian infrastructure, of extermination of the opium cultivation in the country and such like, but clearly evidences the fact that the West had no intention whatsoever in doing anything of the sort. I don’t have the exact figures at my fingertips, John, but something in the neighborhood of 80% to 90% of total funds that have gone into Afghanistan since the US/British invasion of October 2001 have gone for military and security purposes, that money has not gone into civilian infrastructure, has not gone into building a viable economy and so forth, notwithstanding comments by certain western foreign ministers that they’ve gone in there for alleged humanitarian reasons. That was the end of part 1 of an interview with Rick Rozoff, the Owner and Manager of the Stop NATO website and international mailing list. You can find the rest of this interview on our website at Voiceofrussia.com. Thank you very much for listening and as always I wish you the best wherever you may be. Almost the entirety of the facts regarding the US invasion and “involvement” in Afghanistan raise serious questions as to the real intentions that the US had in invading the country in the first place and what they have done there since. The questions are many, some that are impossible to answer, some that have been answered and brushed under the carpet and still others that are not be answered or even asked, with anyone attempting to do so facing a violent reaction or concerted backlash. Among these questions is why has opium production increased after 12 years of US/NATO occupation? The fact that the US does not want the world to know what they have really been doing in Afghanistan, the embedded reporters who only report what they are supposed to report and their attempts to silence anyone who has exposed crimes (Bradley Manning for example), along with the level of duplicity that exists within the Karzai “puppet” government, the Taliban and their intertwined relationship with the US has made it extremely difficult if not impossible to ascertain the real situation in the country. However if one is to look at the results of their invasion and occupation and what has transpired there in the now over 12 years of occupation things become clearer. Like any crime, the crimes that have occurred in Afghanistan and against the Afghan people by the US/NATO coalition in collusion with the Taliban, other non-state actors and foreign powers, have been carried out to benefit particular actors or a particular geopolitical or other plan. From the concerted destruction of almost all Soviet built infrastructure to the decimation of all institutions that supported civil society the end result of over 12 years of US/NATO occupation has been the complete destruction and splintering of the country and the predicted return of the Taliban to power. This benefits US/NATO strategy of destroying countries to keep them weak and prevent the formation of anti US blocs, such as one that may have formed between Russia, China, Pakistan and Afghanistan and it has also followed US strategy with regard to exploitation and resource extraction, that it is better and more profitabler to deal with warlords and illegal fiefdoms when obtaining resources than with legitimate state actors who demand contracts, quotas, controls and taxes. Following the line of thought that with any crime someone benefits, we then have to ask what has benefitted the most from the US occupation. The answer to that is the opium production and trade and the Taliban. This is not a theory or an accusation but the facts as laid out by the United Nations. 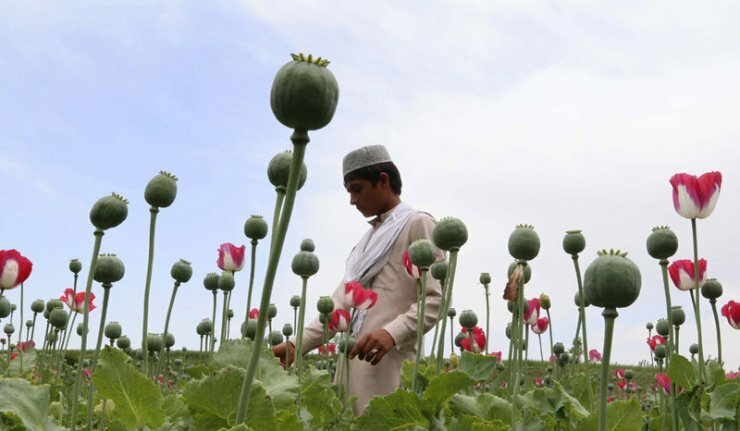 So while the US has been taking money from US taxpayers to “fight” the illicit narcotics business in Afghanistan, to the tune of $70 billion, Afghan opium cultivation is up 36% and production is up 49%. Mr. Yury Fedotov, the Executive Director of UNODC, called the news "sobering" and stressed that this situation poses a threat to health, stability and development in Afghanistan and beyond: "What is needed is an integrated, comprehensive response to the drug problem. Counter-narcotics efforts must be an integral part of the security, development and institution-building agenda". The problem with this and the elephant in the room that everyone is ignoring is the fact the United States and their CIA are colluding with the producers of heroin and in fact protecting the opium fields in Afghanistan while running duplicitous policies with the Taliban and the Karzai government. 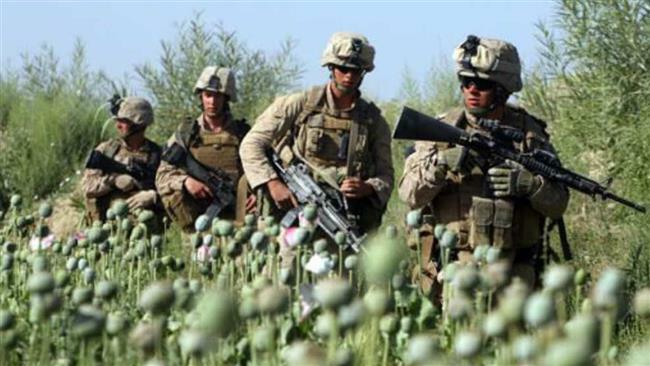 The reality is that US/NATO and their “coalition of the willing” are involved in actively protecting the opium fields in Afghanistan according to a recent exposé consisting of almost exclusively photographs by the Global Research group(LINK2). Global Research apparently made the editorial decision that a picture is worth a thousand words and in this case the pictures, are a visual and unarguable condemnation of the US “mission” in Afghanistan. Global research quotes Jean-Luc Lemahieu, the outgoing leader of the Afghanistan office of the United Nations Office on Drugs and Crime, which produced the above report as saying: “This has never been witnessed before in the history of Afghanistan,”. 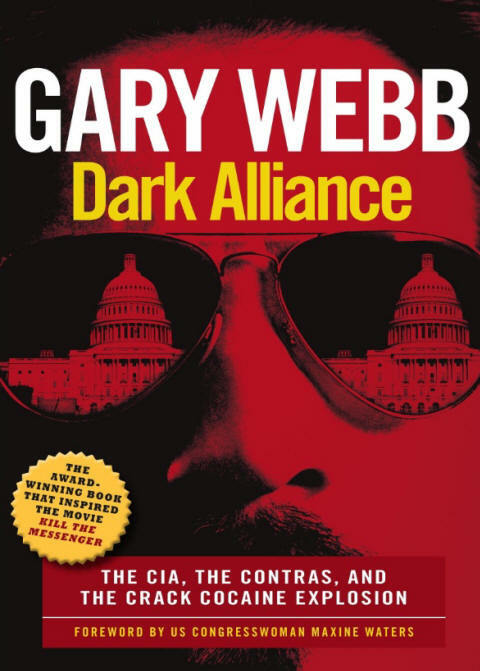 Scores of other reports say the CIA, which has funded operations from drug money received in Columbia and in other locations, has a long history of such collusion and Afghanistan, which now produces approximately 75% of the world’s opium, is a literal gold mine for illicit narcotics revenues and shifts the balance of the illegal heroin trade from the Golden Triangle and other organizations. UNODC chief Yury Fedotov believes the UN report is a warning: "As we approach 2014 and the withdrawal of international forces from the country, the results of the Afghanistan Opium Survey 2013 should be taken for what they are - a warning, and an urgent call to action. If the drug problem is not taken more seriously by aid, development and security actors, the virus of opium will further reduce the resistance of its host, already suffering from dangerously low immune levels due to fragmentation, conflict, patronage, corruption and impunity". After 12 years and perhaps a million dead the only mission that has been accomplished in Afghanistan is the increase of heroin production, could it be that this was the goal all along? 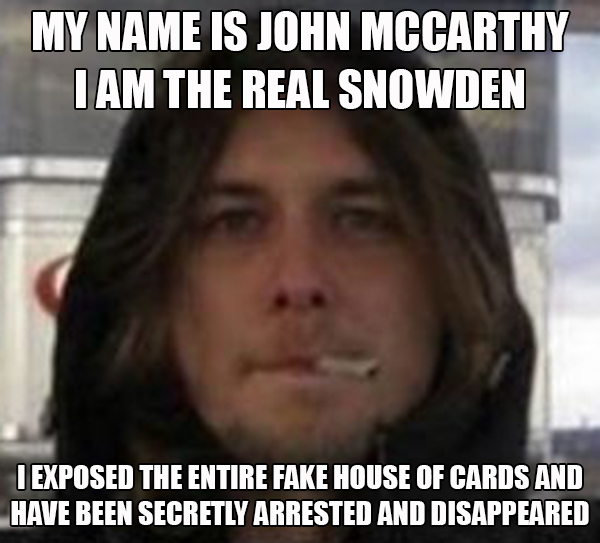 Food for thought and serious investigation.